Brand ambassadors are not only able to help your customers but they can help translate and promote your Brand to the new consumer. Retain and encourage your existing members to be your brand promoters with our Referral feature. You decide who gets rewarded with points and/or rewards or simply both Referrer and Referee. How to setup the referral program? You can also customise your referral program. To do this, you can create rules for your referral or referee and these rules will over-ride the default setup created in Steps 1 - 7. Add a Referral title in Member WebApp for member to refer friends and family easily. Your existing member can complete the referral process by following these three easy steps. 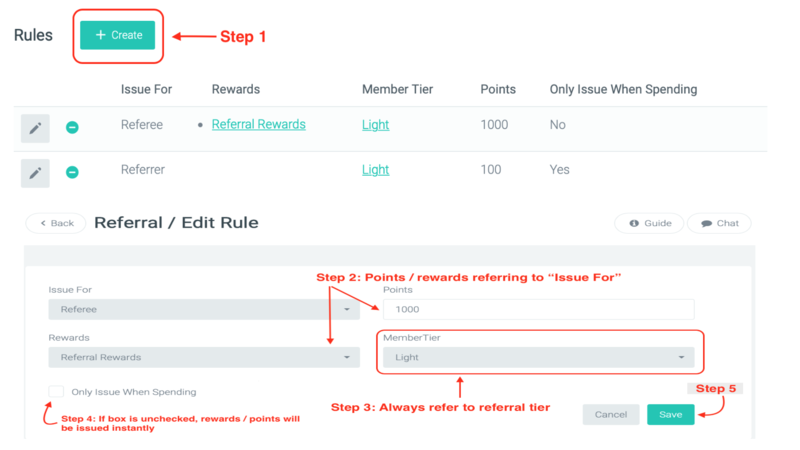 Step 3: Referrer and Referee will get points and/or rewards when signup is successfully completed. It will be added in the account after sign up.